All across the country, homeowners are depending on their property’s water and sewer systems to bring fresh H2O into the home while taking waste away. Outside of the occasional clog and that incessantly leaking toilet, your Washington home likely experiences little trouble. Many citizens across the state reside in older homes, featuring plumbing materials that are now reaching the end of their expected lifespan. If, for example, you have noticed a gradual drop in performance within your older house, then it may be time to reach out to a professional for sewer inspection services. 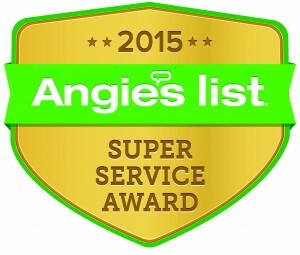 Action Jackson Plumbing is proud to be your Top Rated Local® plumbing company in Edmonds, Washington. Our local plumbers have the tools and training needed to provide comprehensive solutions for your home, from simple drain cleanings to hydro jetting, sewer main excavation, and more. We strive to deliver unparalleled support to ensure the best possible outcome. 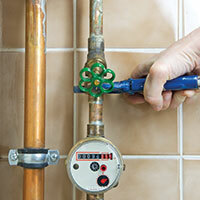 Today, we’ll highlight the dangers of dealing with old, outdated pipes. 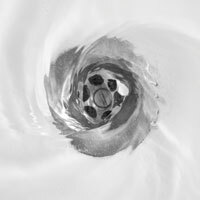 If you are on this post because you are in need of full-service residential plumbers, be sure to call today! Unfortunately, past material choices for how to dispose of sewage and bring in water are often found to be harmful for humans and the environment. In many cases, materials that have begun to corrode increase the potential for harmful elements to leach out, infiltrating water lines and creating serious concern. Lead. One of the most worrisome materials, lead is known to be toxic in nearly any concentration. Outdated lead pipes were in use in our country up until the 1980s, creating a large opportunity for poisonous elements to affect the water supply. In many cases, lead solder is the culprit, leaking through after serious corrosion has occurred. Galvanized Steel. This popular pipe choice was popular up until the 1960s and featured steel pipes that are dipped in zinc to prevent rust and corrosion. Marketed originally as an alternative to lead, galvanized pipes have been in use since the 1880s and may rely on zinc coatings that are contaminated with dangerous toxins, including lead. After roughly 50 years, this pipe will very likely begin to rust and break down. Cast Iron. While these pipes are mainly intended for use in hydraulics and large machinery, homeowners found the value of cast-iron pipes for their plumbing. Vertically cast pipes have been in use for a long time, originally intended to replace lumber tubes. This ultra-durable material can last for decades, but rust may become an issue. Copper. Homes began seeing copper as a new material of choice shortly after World War I. In fact, this versatile and long-lasting pipe is popular in many homes across the country. While normally inert, one concern does come from the fittings. Lead was often used to solder these pipes, making it important for older homes facing corrosion to order a water and sewer inspection. As the crisis in Flint, Michigan revealed, proper plumbing inspections and pipe replacements are necessary to minimize the dangers faced by citizens. Lead, plastic, and other materials can all leach into the water supply from various points, tasking city officials and homeowners alike with keeping track of the age and condition of their lines. Lead is one of the biggest worries, as continual exposure to this toxin can impact your entire body. Heavy doses can lead to convulsions, comas, and death. In smaller does, this material can affect your kidneys, liver, eyes, brain, and more. There is no detectable amount of lead that is safe for human contact, and the results of this material are said to be irreversible. If you suspect that you have old, corroding pipes that have the potential to harbor lead and other contaminants, it is vital to seek the help of a local plumbing contractor for an inspection. Doing so can help to give you and your family peace of mind in knowing that your drinking water is safe. Sewer inspections can also be helpful for ensuring that your waste lines are sanitary and efficient. 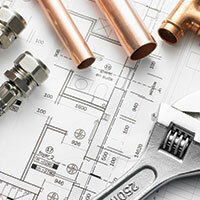 There are many risks associated with living with outdated plumbing. Next time, we’ll continue this topic by detailing the risks your home faces. If you are in need of a professional plumbing company in Edmonds or the surrounding area, Action Jackson Plumbing is here and happy to help. Contact us today or fill out or form for an online quote!